SEO has been a key part of my marketing plan for the past eight years, with well over half of my clients finding me on Google. It’s a subject that can be super overwhelming at first, but I hope these posts will walk you through the process and explain my current approach. This post will help you get your website properly setup in order to start your SEO quest with a solid technical base. In a few days I’ll be posting the follow up to this article, how to create the content you need to get real SEO results. What is SEO and how can it benefit us as photographers? 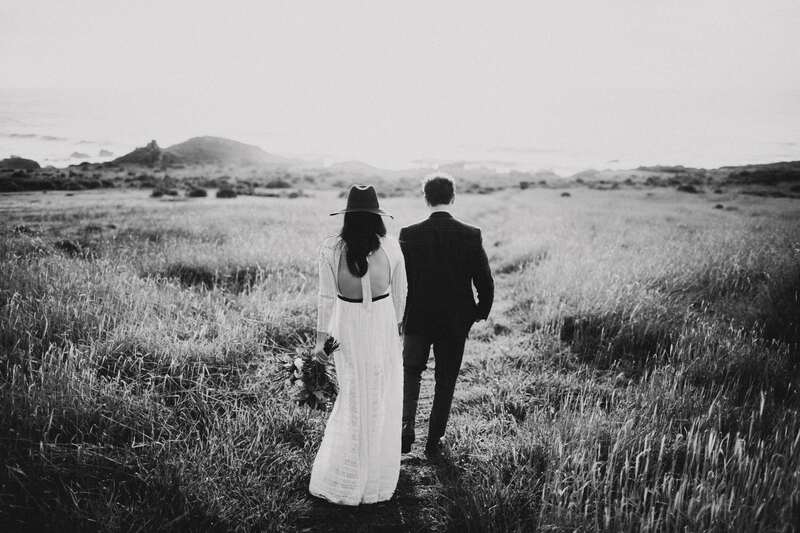 There are a lot of SEO guides, tutorials, blogs, podcasts, and videos out there.. but very few are targeted towards the photography market, and even fewer on the niche of wedding photography. The tips I’d read for years were all about how to optimize a single wedding blog post, but I don’t think that’s where the results will be found and I’ll show you why. This post will give you a solid roadmap to grow your organic search results and build your business by using the power of the internet. Having a proper SEO game plan can help you bring in more wedding + portrait clients and all it takes is a bit of your time. I’ll try to keep these tips short and sweet, but feel free to ask any questions you have in the comments or find me on social media. These are things you need to do when you setup your website to fit Google’s best practices. Having your site setup well will help raise you above the competition that hasn’t gone to the trouble, but isn’t a magic bullet. This guide is going to concentrate on WordPress based websites, but will have useful information for Squarespace and other web platforms. Download the Yoast WordPress Plugin. Let it be your guide. It is as simple as activating, filling out your descriptions and social media information, and then making the light turn green for individual posts and pages. Sign up for Google Search Console, formerly called Webmaster Tools. It is where you can see your search traffic, inbound links, any search crawl errors, and much more information related to SEO. Change your Permalink structure. Many sites come setup with the plain link structure shown below, this is bad for both SEO and users viewing your site. Create a Tag & Category plan. Don’t let them overlap. I use Categories to designate between wedding and portrait shoots, while Tags can describe the location or style. This makes sure that there isn’t any duplicate content(example: tagging a post “wedding” that is already categorized as “wedding”). 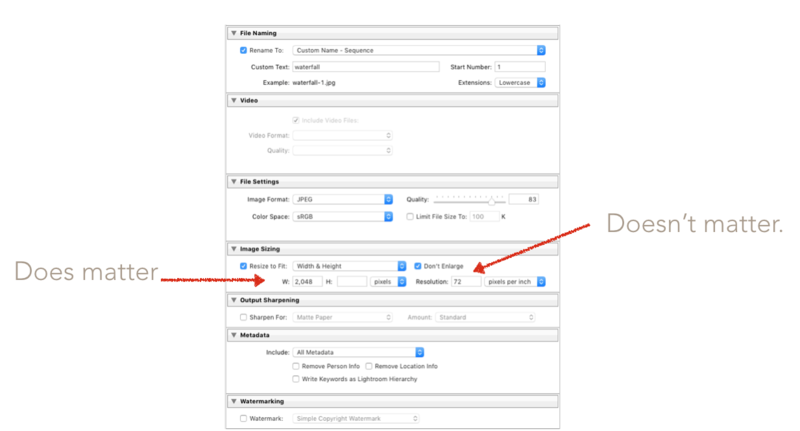 Install Google Analytics tracking code into your theme. I use Flothemes for my wordpress theme and they have a box to insert this code into my entire site. If your theme doesn’t have this feature, there are wordpress plugins available to accomplish the same. Enable Breadcrumbs. This is optional, but I believe that it helps for both SEO & the user experience. Breadcrumbs show the path from your homepage to the current page, allowing the viewer to quickly navigate your site or explore related content. They also change how google shows your pages in search results. The Yoast plugin creates breadcrumbs, you just need to insert a small line of code into your theme. As photographers, one of our largest battles will be with managing multiple images on a website while keeping website load speed to a minimum. Here are a few tips. Export at the correct pixel size, resolution doesn’t matter here. 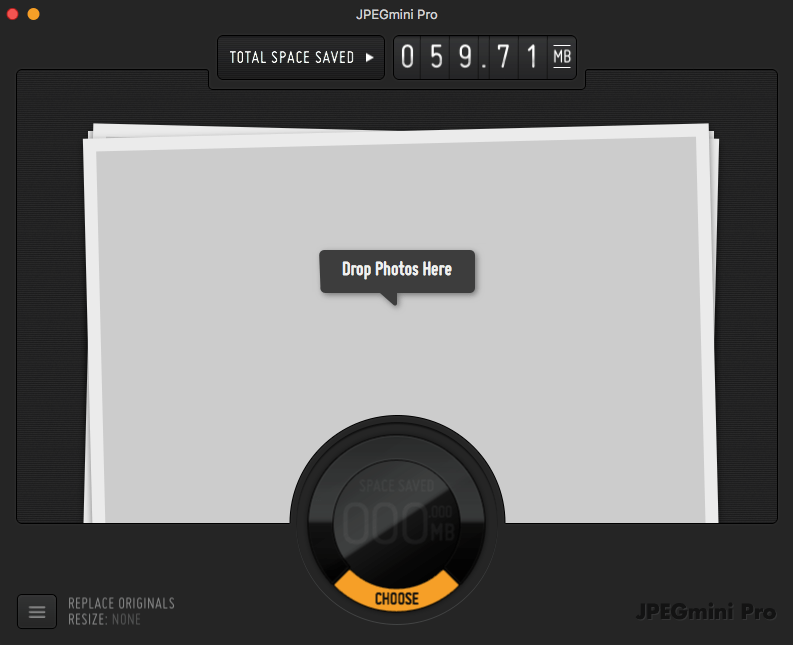 Use Jpeg Mini. This program compresses the image to the smallest possible file size, without harming the photo quality. It is also an easy way to quickly resize images for different uses. I use this for every image on my website. Many photographers also use this on the full resolution files they deliver clients, allowing for smaller downloads or USBs. Fill in the Alt Text for your featured image and a couple other photos from the post.I get a lot of traffic specifically from google image search that is directly from this text. Use a sentence to describe the image and try to make it different for every photo. I do want to clarify, don’t spend too much time here. Just take a few minutes per post. Or use this plugin, if you’re lazy. 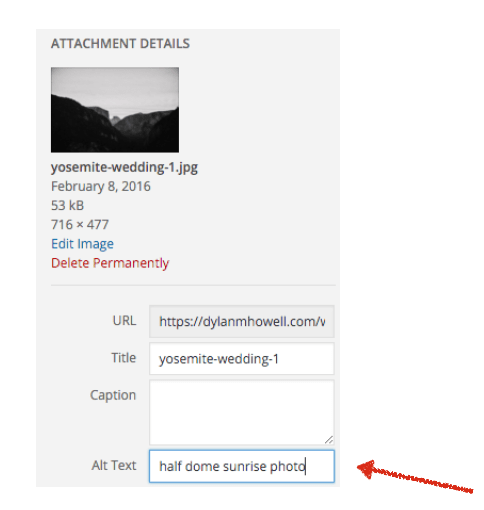 It is called SEO Optimized Images and it grabs your filename to fill in any missing alt text on your website. 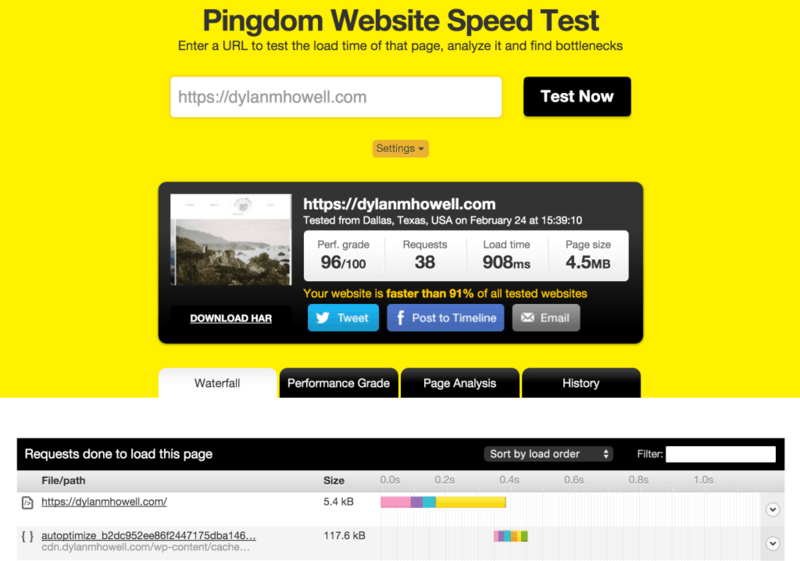 Run your site through Pingdom Speed Test. This will tell you how long it takes for your webpage to load, as well as showing you which files are slowing down the process. Take a look at the waterfall view to see problem files, the performance grade to see tips on improving your performance, and the history to see if your site is getting faster or slower over time. Check your site with Google Page Speed Insights. As a photographer, it will probably be impossible to get 100/100 score due to the amount of images on our pages, but scores in the 70’s should be attainable. The tools below should help raise your score. If you struggle with this, Flothemes just started offering a speed enhancement service. Spend a few more bucks on hosting. I use WPengine for my hosting, it is fast, dependable, and optimized for wordpress websites. The only downside for me is that they disallow a few of my favorite plugins due to incompatibility. In the past I used Bluehost’s managed wordpress hosting and was happy with its performance as well. Site Ground is another worthwhile option. Just stay away from the cheap shared server hosting that will give you a slow loading site and lots of outages. Server Setup. I installed an SSL certificate on my entire website (https) after reading that google slightly favors secure sites. It can also help with speed if you’re able to use SPDY/http2 push. I then setup a CDN through MaxCDN or Cloudflare, this allows for multiple parallel downloads at the same time and a server closer to the viewers location. A CDN can help greatly with the loading time of a photography website’s static resources, like images. I also run my traffic through Cloudflare. This allows for a bump in speed, downtime protection, and it keeps suspicious traffic from harming my site. A cache plugin. I recommend a paid plugin called WP Rocket for WPengine and all other hosts. If you need a free plugin, W3 total cache does a good job. These will greatly improve the performance of your site, but can easily break your code leaving you with an unusable mess. Be careful, back up often, and test thoroughly. Overall, you’ll want to cover these objectives: minify your js and css, enable GZIP compression, remove query strings, set cache times for files (can be done manually with .htaccess file or using plugin above), and utilize newer features like prefetch and preload. WP Rocket handles all of these very well. 404 to 301. If you’ve ever deleted old posts (which you should do!) and are too lazy to manually add 301 redirects, this plugin is for you. It detects a 404 response on a broken page and sends the user to your homepage instead. This isn’t the most perfect way to do things, you should be sending people to relevant content, but it’s better than nothing. I no longer recommend the 404 to 301 plugin.Google is thought to see too many 301’s to your homepage as a bad indicator. If you want to delete a post, leave one image and then link back to your homepage. This will keep you from getting soft 404 response from google, and re-route visitors and link juice to your homepage. These basics are a great base to now start the real work of SEO. Stay tuned for Part II on Creating Content, which I’ll be releasing in the next few days. If you’re interested in more in-depth tutorials on SEO for photographers, check out my course! Subscribe to my email list to get a monthly roundup of my tutorials straight to your inbox. Thank you so much for this wealth of information. I’m looking forward to digging in to your Patreon content soon! I would like to change my permalink structure, is it bad to do so when my site is already established? Hi, This is such a helpful article, thank you! I wondered what the correct pixel size would be when exporting images for my portfolio. It’s not something I’ve been able to find an answer to online and I’ve always focused on total size in MB rather than pixels so I’d be interested to know what you recommend. It depends on your theme! Mine are 1800px wide. Wow!The most comprehensive free lesson I’ve seen! Thank you so much!!! Such a detailed and helpful post. You’ve made everything so easy to understand. Thanks so much! FINALLY GETTING AROUND TO SITTING DOWN TO READ THROUGH THIS! THANKS A TON FOR PUTTING THIS TOGETHER. OUR SEO SERIOUSLY NEEDED A LITTLE HELPING AND THIS IS DOING THE TRICK. YOU’RE THE MAN! Student Research group looking for some SEO experts to take a quick 6 question survey please! Excited about the new – thanks! Ha. Just stayed up until 4:00 this morning implementing these things. That’s what happens when it’s foreign ;). Already waiting for the second part. 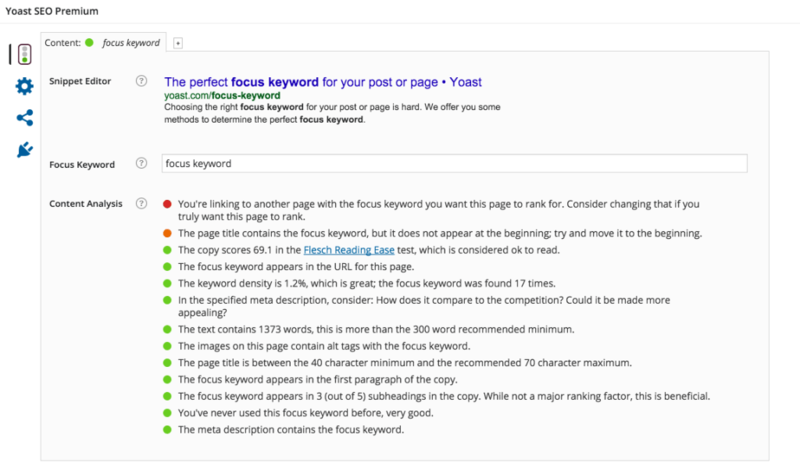 Curious what a sample of your yoast seo set up looks like. I just got the plugin and have tried it on a few posts but it feels a little unnatural repeating all the same words and phrases. Could you post a screenshot of what it looks like for one of your posts?? Thanks Dylan! This is great. Thanks for sharing! I’d love tips for use with squarespace!!! This is exactly what I’ve looked for every time I’ve tried figuring out SEO. THANK YOU. Thanks for spending the time on this and sharing your knowledge. I have a question regarding Permalink Settings. I have changed my Common Settings to reflect Post Name, but I am questioning what should be included under the Optional section where you can put Category Base and Tag Base. I guess I don’t have a clear understanding of that part and was hoping you could clarify with an example. (Please note, this is under Settings>Permalinks, not under a specific Post). some people choose to use categories in their URL’s, you could do that by having the variable in your permalinks. Ahh! Thank you so much for sharing! Thank you for sharing Dylan, and congratulations for your work. damn. nailed it! thank you! Really random question Dylan but I thought you might know. If I’m featured on a blog and I link to that feature from my site does it harm SEO? Some people have said yes some people have said no. Great post by the way dude! This is a goldmine. Thank you!! I was just researching this the other day! And this helps so much! Thanks! Great info for anyone looking to get a bit mroe work! Thank you for this post!! What keywords should photographers optimize for? is it ok to use the same one multiple times? Great post I always love learning about new plug-ins and see what’s working for other creative entrepreneurs and photographers . As far as alternative text it really should be unique for every image which makes it hard and time-consuming when you have a photo blog . So one thing I’ve started implementing is blogging less images and adding a slideshow at the end so I can optimize each image well because you’re all text description and title should be different . I’ll turn the text is definitely the most important one out of those three and I just use light room to rename my image files for my main keyword idea .when blogging you should really have different keywords that you’re using so if you’re wanting photographer you can focus on the venue plus the word wedding plus photos or you can blog at that same venue and use the style or the color of the wedding but you definitely should be changing it up and not using the same key word over and over again because then it will look spamming in the eyes of Google. This is great! But I use Format and I’ve been trying to figure out the SEO. Any tips? Awesome guide, thanks for sharing! I’m been hesitant to make the leap from squarespace to the unknown but honestly, after reading this I’m pretty darn confident to jump in! The more trustworthy, and high ranking websites that share a link to yours – the better. Google likes to see this spiderweb of recommendations and so if they notice that you have 20+ links from top blogs, Google understands that your website is really relevant to the keywords & is likely to show it higher. Of course, getting to the blogs is the challenge. I hope this little bit of extra information was of interest, and perhaps someone scrolling through here would find it useful too. Thanks for taking the time to write the article and looking forward to seeing more! Excellent post Dylan! I can’t wait to see the next posts in the series! So important to get the foundation set up properly, and your post does a great job outlining some of the most important things that need to be done! Dylan this is incredible and so insanely helpful! Thank you! You’re the best. Thanks, Dylan! Some great stuff here, love SEO 🙂 Need to do research about those breadcrumbs – never heard before. And also – do you actually have to have a different alt text for every image? I usually use the same for the entire post. Is that bad? If so, it just made my weekend… Really excited to read this, thank you for all the time invested into it! Dylan, you are the man! Cheers, great post and lots of great advice in there. If anyone is wondering if the stuff contained in this post works – it does. Looking forward to your take on the content stuff! Have you used Google Tag Manager? 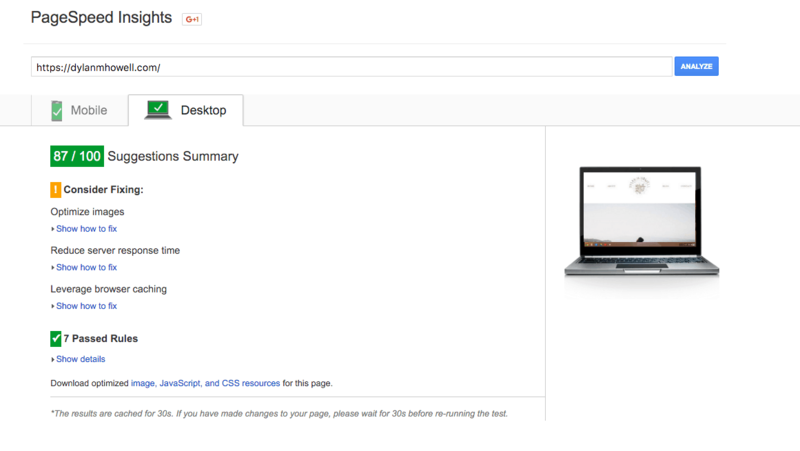 If you’re having to add multiple code snippets, might be easier to manage with GTM. Great post man! Killer info! Thanks so much for sharing! Well crap, thanks for making my to-do list super long! haha 🙂 Thanks for sharing! Any tips for square space users? I might have to do a separate post for that! Luckily many of the topics covered in this post are already handled by squarespace.. A few are not or aren’t possible on that platform. 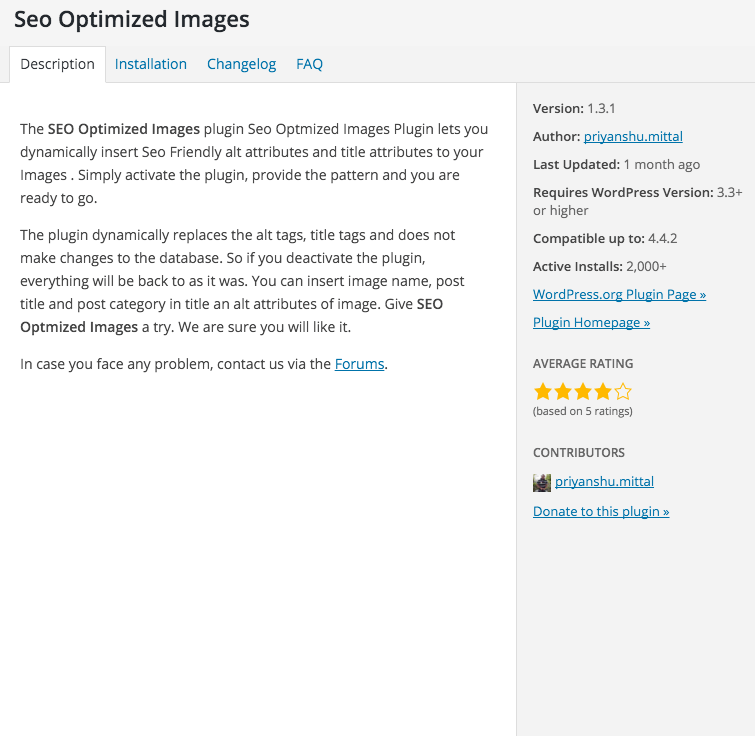 The next post will be super helpful for WordPress and non-Wordpress users alike. Nice article. I’d add that adding breadcrumbs is VERY good SEO. Along the lines of categories. Also, make sure you fill in a good title attribute, and use “keywords” when you name your files. (The one you show in your example, is named well). One other thing, if you can, share to Google +. G+ provides a pipeline into google, and ups the link performance (at least, the first link you use in say a story). this post was stupid helpful! im so lost when it comes to SEO. one question though… do you have more info on what that “small line of code” is that you have to enter to enable breadcrumbs? thanks so much for being awesome! PS thanks for an amazing post, Dylan!! Really really helpful, thanks Dylan! Damn dude, this is awesome! Hopefully it all doesn’t go right over my head but I’m stoked to read & implement as much as I can. Thanks for sharing!